MUNICH, Germany, January 3, 2012 (ENS) – A series of severe weather-related catastrophes in 2012 pushed the United States into a higher proportion of global natural disaster losses than usual, the world’s largest reinsurer, Munich Re, said today. Aside from disasters in the United States, losses in both human lives and material goods were relatively low in 2012, the company said in a statement. Some 9,500 people lost their lives in natural catastrophes last year compared with the 10-year average of 106,000. “The relatively small number of fatalities was due to the fact that, in 2012, few severe natural catastrophes occurred in emerging and developing countries, where natural catastrophes tend to have far more devastating consequences in terms of human lives,” said Munich Re. 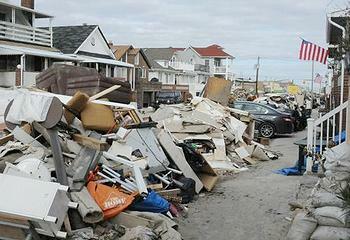 The year’s highest U.S. insured loss was caused by Hurricane Sandy, the company said. Sandy developed in the western Caribbean Sea on October 22. By the time the superstorm blew out of Canada on October 30, at least 253 people had lost their lives in seven countries in the Caribbean, the United States and Canada. In the United States, Sandy killed 131 people and affected 24 states, including the entire eastern seaboard from Florida to Maine and west to Michigan and Wisconsin, with severe damage in New Jersey and New York. Its storm surge hit New York City on October 29, tearing down homes, flooding streets, tunnels and subway lines and cutting power in and around the city. Munich Re Board member Torsten Jeworrek called for greater loss-prevention efforts in the United States. Hurricane Sandy alone accounted for some US$50 billion in overall losses, while the insured losses are expected to be around US$25 billion. The losses revealed a significant degree of vulnerability, especially where infrastructure is concerned, said Höppe. Even in Canada the storm caused insured losses in the order of US$100m, he said. The second major loss event of 2012 was the summer-long drought in the United States that plagued the Corn Belt in the Midwest and surrounding states, where most of the USA’s main agricultural crops, corn and soybean, are grown. Until November 2012 was the USA’s warmest year since recordkeeping began in 1895. Only in the Dust Bowl years, from 1934–1936, had agricultural yields been destroyed by a worse drought, said Munich Re. 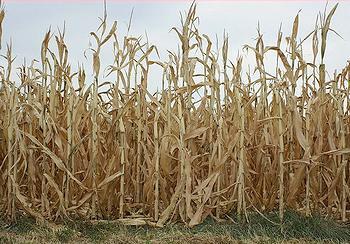 Nearly half of the USA’s arable acreage was hit by the 2012 drought. Agricultural crop losses in the USA last year totalled around US$20 billion, of which approximately US$15–17 billion is covered by the public-private multi-peril crop insurance program, making it the biggest loss in U.S. agricultural insurance history. 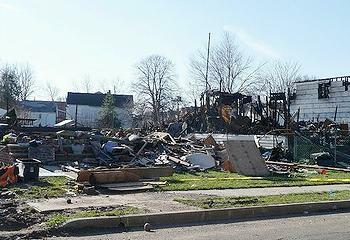 In average years, insured losses are around US$9 billion, the company said. Worldwide last year, natural catastrophes caused US$160 billion in overall losses and US$65 billion in insured losses. Some 67 percent of overall losses and 90 percent of insured losses happened in the United States. By comparison, on average U.S. losses are 32 percent of overall losses and 57 percent of insured losses, the company said. Worldwide, losses were “significantly lower” in 2012 than in the previous year, when record figures were posted due to the earthquakes in Japan and New Zealand and severe floods in Thailand, said Munich Re. In 2011, overall losses came to US$400 billion and insured losses to US$119 billion.